The first openly gay Rose, Walsh will seek the Fine Gael nomination. News 11 February, 2019 . Written by Peter Dunne. Fine Gael have officially confirmed that Maria Walsh will seek their MEP nomination at the next EU elections. Walsh will run in the Midlands/North-West, the constituency previously won by independent MEP Luke ‘Ming’ Flanagan. She has said that she aligned with Fine Gael because they best represent her “core values”. 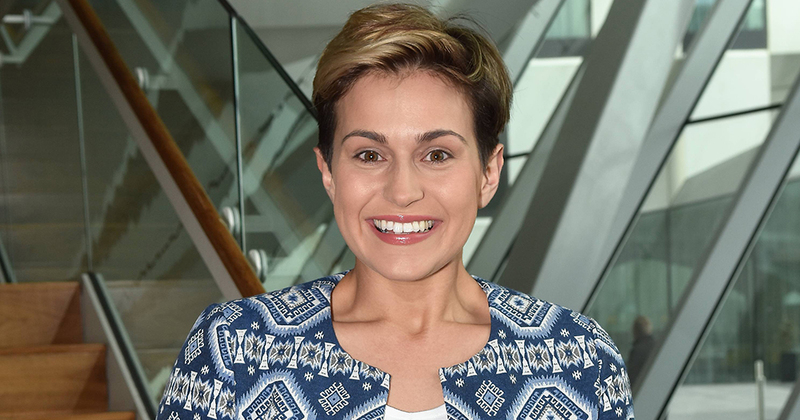 In a statement on her decision, Walsh said: “Five years ago I was chosen as the 2014 Rose of Tralee, an honour which brought me all around this great country, but more importantly, it gave me a platform to make a positive impact in people’s lives. “I have been to every county in Midlands/North-West, meeting community groups and farming organisations, promoting good mental health for our young people as an ambassador for Jigsaw, discussing patriotism and history with school kids and parents as an Ambassador for the Thomas Francis Meagher Foundation, playing Gaelic football, and on manoeuvres with the Irish reserves. The statement continued: “I am always first and foremost a proud west of Ireland woman with an unyielding commitment to achieving good progress on behalf of our communities.